The FREE* shuttle bus service from Belfast Port will drop you at Visit Belfast HQ which is just across from our tour starting point (Belfast City Hall). Shuttle buses leave Belfast port every 30 minutes, on the hour and half hour. The journey is approximately 15 minutes so there is plenty of time to join a 10am or 1pm tour. Shuttle buses return to the port every 30 minutes, on the hour and half hour from Visit Belfast HQ which is close to the tour finish point. Our Belfast tour is the same as an expensive Cruise Walking Tour - our guides are experienced in delivering the Cruise Ship excursions. 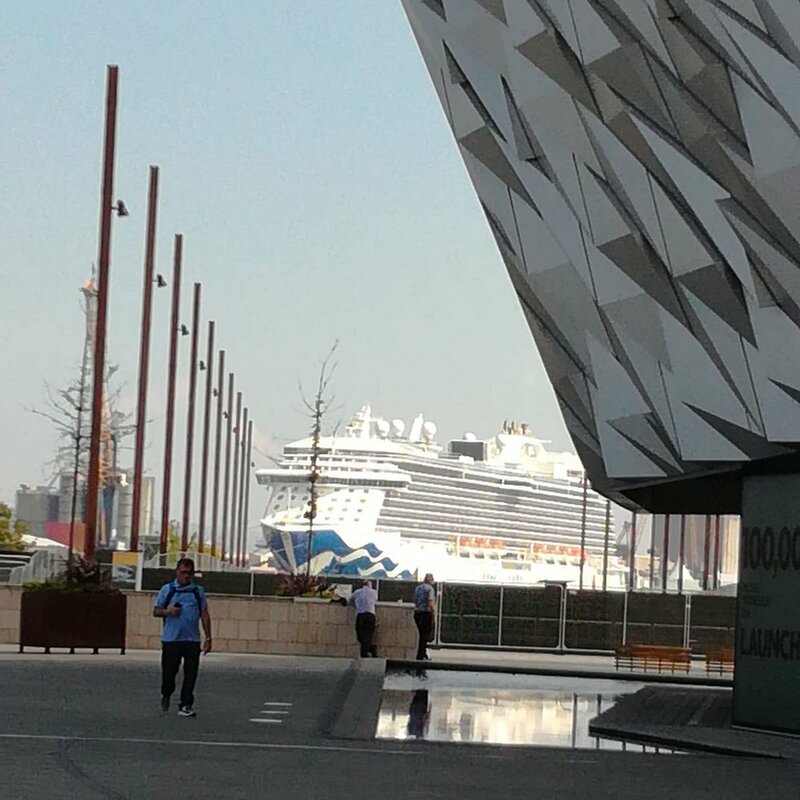 On cruise ship days, the Walking Tour Belfast tour costs just £14 per person. Shuttle bus drop-off is 100 yards from tour starting point, see map below.